The online assessment for Patient Management in Office, Seventh Edition offers clinically oriented multiple-choice questions that will challenge the way you think. Earn up to 25 CME credits instantly upon successful completion of the assessment. This online assessment is a companion product to the Patient Management in Office Critique and Assessment books. The online assessment is included in your order when you purchase the print edition or the print and eBook combo of this volume but must be purchased separately if you have bought only the eBook. 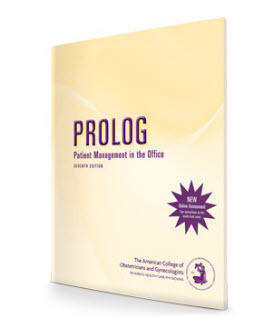 Patient Management in Office focuses on epidemiologic factors contributing to health care problems encountered in office practice;, best practice screening approaches;, correlations of resenting symptoms with diagnostic tools;, traditional and alternative management strategies;, counseling patients about risks and benefits of treatment;, application of professional medical ethics to the practice of obstetrics and gynecology;, and assessments of appropriate legal, risk management, and office management guidelines.